Anger and stress affect each of us every day—even if we aren’t feeling them ourselves, we come into contact with people who are. But their commonplace nature shouldn’t cause us to shrug them away. Anger and stress are both destroyers, and they must be controlled before they bring devastating harm. 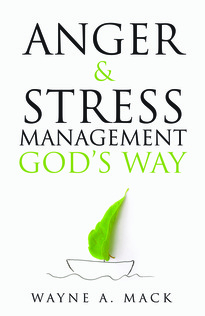 Mack exhorts us: “You don’t have to be overcome and destroyed by ungodly anger or stress. By God’s grace, you can be an overcomer." Of all the resources available to us, the Bible contains the most trustworthy and helpful guidance on how to handle ungodly anger and stress. Internationally respected and experienced biblical counselor Wayne Mack shows how to turn to God’s Word to find help, explaining principles that can be adopted for lasting positive change. Includes study questions and evaluation materials.